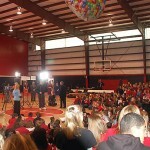 The TV crews from ABC’s Good Morning America rolled into town this morning to our very own Arapahoe Charter School. 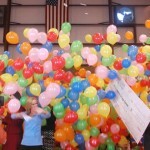 The school was the lucky recipient of “found money”, which is basically money in government or bank accounts that has gone unclaimed. 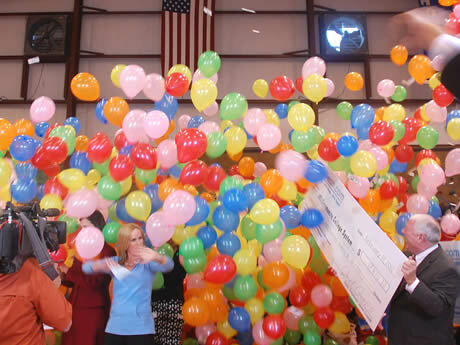 It was quite the scene as the State Treasurer presented three monster checks totaling more than $370,000 and it rained balloons in celebration! 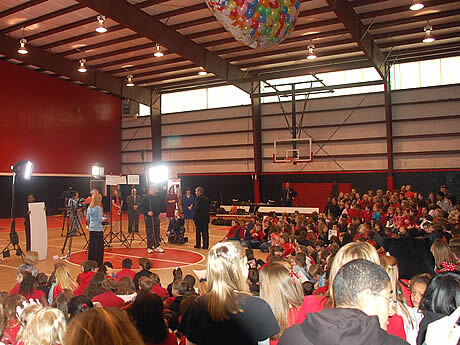 The monies will be dispersed in the State school system and the Charter School will get a nice slice of that pie, around $47,000! What a fortunate surprise that is sure to be put to great use for the kids at the Charter School.